Do you want to be surrounded by magical twinkling lights? Cozy up by a roaring fire? Prepare for Christmas at the North Pole? Frolic in the snow? With a green screen (and the in-house TapSnap design team) anything is possible - there's SNOW idea too crazy! Alternatively, instead of a green screen you could commit to a themed physical background. Let your creativity flow and create a winter wonderland, a little log cabin, or deck the walls with boughs of holly. We can help you to create the theme of your choice for your holiday photo backgrounds. Want it to look like you are the gift? 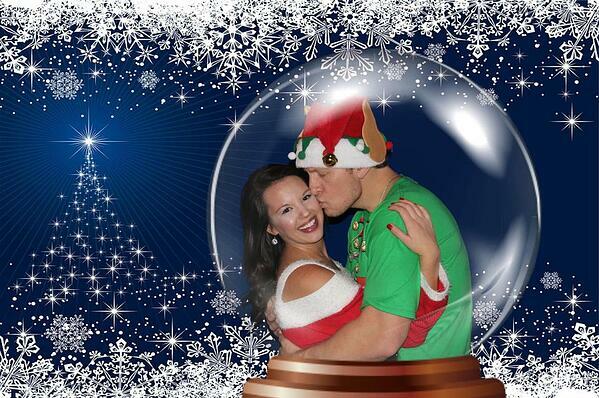 By pairing TapSnap's overlays with a green screen you can be in the center of a snow globe, or the belle of the bauble. You can choose to have your guests hopping down the chimney, caught in a bauble, or riding along in Santa's sleigh! The photo prints can also be customized by the guests themselves. TapSnap's interactive screens give guests the chance to add a wide range of digital props to their photo once it has been taken, like Big Bang Theory's Kaley Cuoco did when TapSnap attended the Big Bang Theory cast Christmas party. 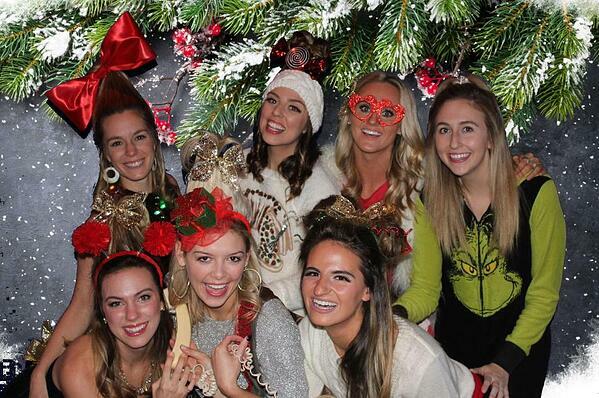 Let a photo booth immortalize your guests' corny Christmas outfits. Whether it's a Christmas sweater themed event, a costume party, or a photo booth after a school Christmas pageant, you're going to want to remember those ensembles. Of course, there's always a chance your guests will come unprepared for a festive photo shoot, so make sure to provide an array of Christmas props for them to use too - like Santa hats, naughty and nice signs, candy canes, and tinsel. A fantastic thing about both TapSnap photo booth models is that they can be customized and branded to seamlessly fit into the decor of any event, and a holiday party is no exception. Whatever your party theme, your photo booth can match! Additionally, for a corporate event, business logos can be integrated into the photo booth wrap to create another opportunity for brand activation. It's Christmas so why not invite Santa into your photo booth and have your guests pose with the jolly man in red? 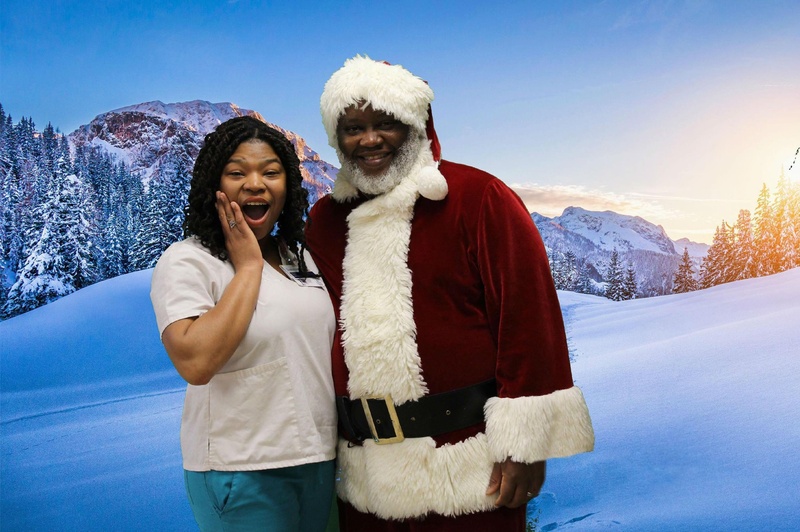 Nothing says Christmas like a picture with Santa, and with TapSnap's amazing selection of backdrops and high-quality photo ability, your guests are guaranteed to love their photos. Add a TapSnap photo booth to your wish list this holiday season, or save your date and book your festive photo booth now by clicking on the button below!